The Sheriff’s Office provides the citizens of Waldo County with a full range of Law Enforcement, Civil Paper Service and Corrections Services.The Sheriff’s Office provides the citizens of Waldo County with Law Enforcement, Correctional and Civil Services. The Law Enforcement Division includes patrol operations along with criminal investigations. We respond to more than 7,000 calls for service from the public each year. 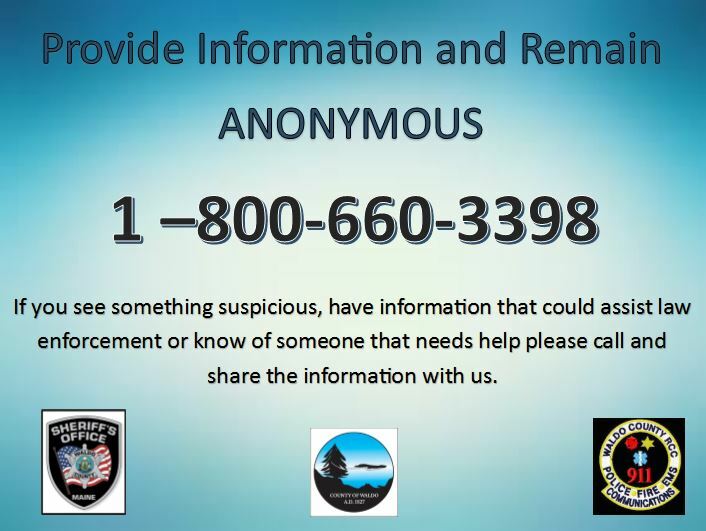 These calls include all manner of incidents to include domestic violence, burglaries, thefts, child abuse, motor vehicle crashes and much more. Civil Service processes more than a thousand documents every year for the public where statutory provisions require a deputy to serve such documents throughout the County. For further information please follow the link below for our Facebook page and monthly newsletters. To provide the best possible services in Corrections, Law Enforcement, and Civil Service in a professional, courteous and fair manner to improve the Quality of Life in Waldo County while maintaining public trust and support.